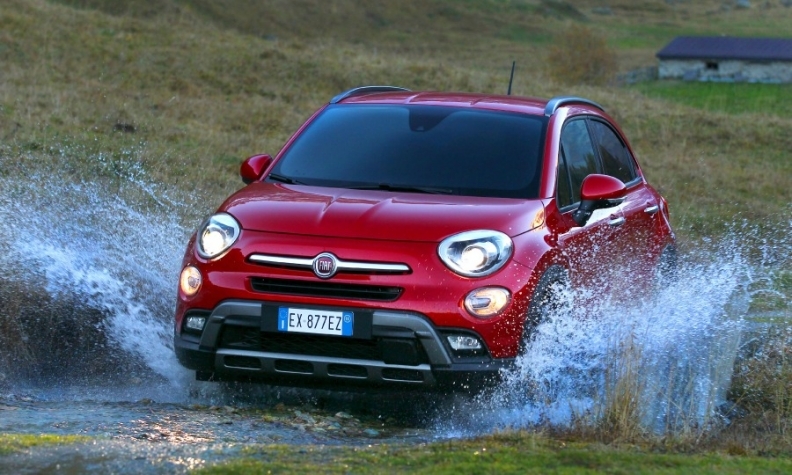 French authorities suspect the Fiat 500X diesel may use banned engine management software to hide high NOx emissions. PARIS — Fiat Chrysler Automobiles could face billions of euros in fines from the French government if the automaker is found to have committed fraud by cheating on diesel emissions tests, the newspaper Le Monde reported. Fiat Chrysler, Volkswagen, Renault and PSA Group, are under investigation by French prosecutors after tests found that on-road nitrogen oxide (NOx) emissions exceeded regulatory limits. Fiat Chrysler's Fiat 500X and Jeep Cherokee emitted as much as 11 times the legal limit of NOx when tests were extended beyond their usual 20 minutes, suggesting the presence of banned software used to manipulate the official tests, according to findings by the French DGCCRF consumer fraud watchdog reported by Le Monde. French prosecutors opened a formal investigation in March on the basis of the DGCCRF report. Fiat Chrysler said it hasn’t been charged with any offense and is cooperating with French authorities. The company "looks forward to the opportunity to respond to these claims should they be made and to demonstrate its diesel vehicles comply with applicable emissions requirements,” it said in a statement. French authorities are investigating the four automakers under aggravated fraud charges that carry maximum fines of 10 percent of global revenue, or 9.62 billion euros in FCA's case. Last year, Fiat Chrysler reported revenues of 111 billion euros. However, French sales of vehicles equipped with suspect software offer a better gauge of potential exposure in the event of conviction. The fraud watchdog puts the sales figure at 151.69 million euros for the years 2014-16, Le Monde said. Since VW's 2015 admission that it used illegal "defeat devices" in the United States, follow-up studies have revealed widespread differences in toxic NOx emissions between regulatory tests - at predictable speeds and temperatures - and those carried out in slightly modified conditions. According to Le Monde, the DGCCRF has also accused Fiat Chrysler of obstructing its investigation, as reported by Reuters last month. That charge carries a maximum fine of 300,000 euros and up to two years in prison for those responsible. Fiat Chrysler is also accused of diesel emissions irregularities in the United States. In May, the U.S. Justice Department sued the carmaker on the grounds that it had illegally used software that led to excess emissions in more than 100,000 vehicles sold since 2014. The company said this month that it was trying to reach an agreement on a software fix for those models.